Housing costs are so high that for many, a tiny house build seems to be much more in the range of possibilities. 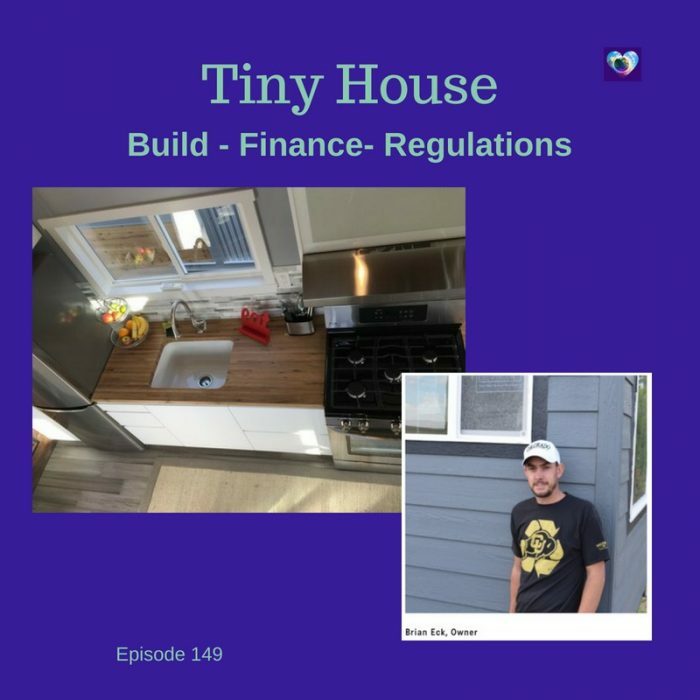 We have had several episodes now dealing with tiny houses and the many aspects that make up the tiny house movement. Since we have Emily Gerde on board, we are diving deep into this subject. 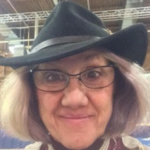 She is not only a tiny home dweller but also involved in working with the city of Denver to make tiny house communities a legally approved possibility. The hope is that if a good model is created, other communities have an easier time to get zoning for their area approved. 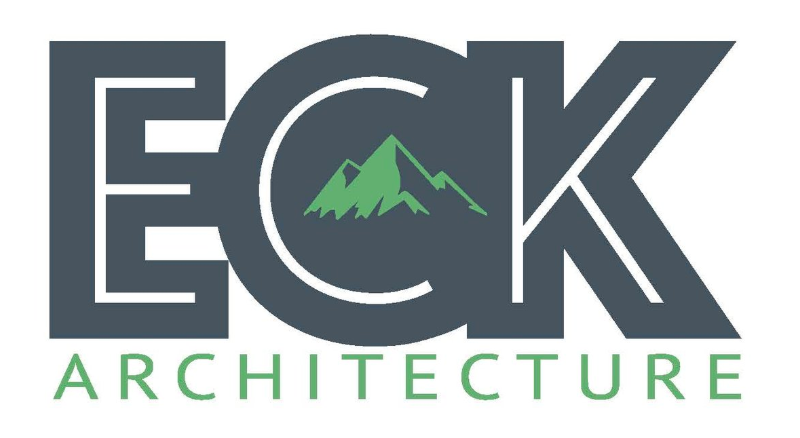 In this interview, Emily is speaking with Brian Eck and Tucker Roe of Eck Architecture. 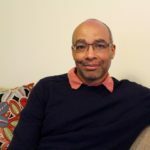 “I was born and raised in Parker, Colorado and attended the University of Colorado-Boulder where I earned my Bachelor’s of Science in Environmental Design/Architecture. Building and fixing things has been a part of the Eck family for many years. My grandfather started his own successful home building business in Springfield, Mo, and during my dad’s teenage years, he spent much of summer and free time building these homes. My dad has always been a handyman around the house, so from a young age, I too learned how to build and fix things. My time in Boulder led me to learn new things and meet many new people, one of those being my current business partner, Tucker Roe. Tucker and I lived together for a few years during our time in Boulder and this is where our friendship started. After college, I moved back to Denver and worked a few jobs before landing in the oil and gas industry as a piping design manager. 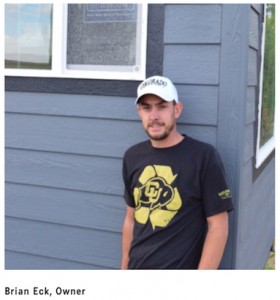 After college, Tucker spent his time between Colorado and New York working and flipping homes. It was once Tucker moved back to Colorado where we began our partnership in the Tiny Home Business. I was working on my first build and knew I needed some additional help. Tucker’s background in flipping and finishing work was something that I was not an expert in so I reached out to him for some help. From there, we completed our first home and knew that I had found my business partner to move forward in the tiny home building business with me. Code development is important. One benefit is to be able to get financing and insurance for your tiny house build – but most importantly to make sure that the home is safe. RV regulations are not sufficient for what the tiny house movement stands for – to have homes people live in permanently. Parking is still a real problem and many find that they need to park far from the city which adds a daily commute and all the cost associated with that. This is important to add to the affordability consideration. Eck is working with banks to try to find financing for their clients. The loans typically will not be 30-year loans but need to be paid off in a much shorter time period. That makes a difference in the monthly payments. Regulations are good for the consumer as well as for the builders. 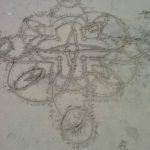 Many builders are starting to offer their services and it is hard for the future homeowners to know who is legit and who is not. If there is a regulatory body, they at least will know if a builder is part of a quality control organization. 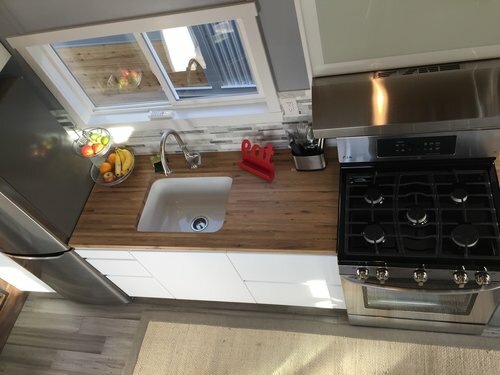 If a tiny home was built to certain standards and inspected during the building process – then financing, insurance, and eventual resale are all easier. Having guidelines and inspections – the stamp of approval so to speak, will help the DIY builder to be accepted into a community or a mobile home park if that is their choice. Right now, many potential parking areas will not accept homes that have no record of approval during the building process. An investor could build a tiny house community and either sell it or rent it out. Emily, Brian, and Tucker are hoping for strong regulations to bring to the larger community. They feel that this will pave the way for politicians to recognize the movement as a way to bring affordable housing to their cities. 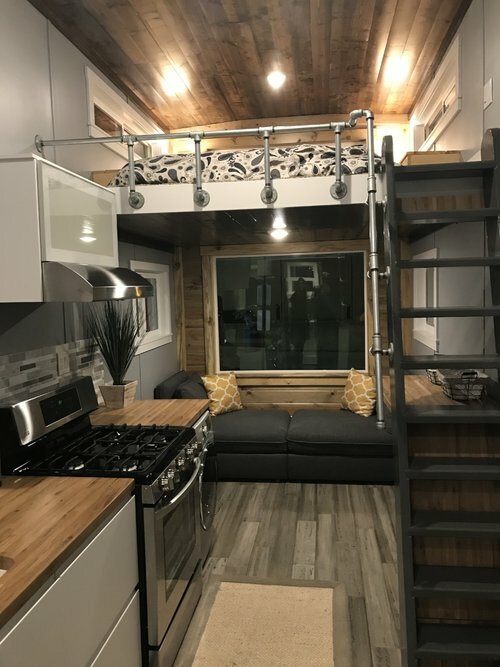 If a tiny home is allowed to be part of a large property or even be parked in a driveway homeownership could become a reality for many that do not think that it is within their reach now. Eck is specializing on figuring out what the particular person really wants and needs instead of cramming everything into a tiny house build. 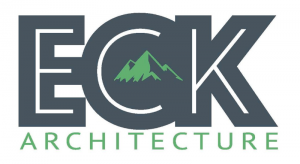 Find out more about Eck Architecture through their website. We love your support! 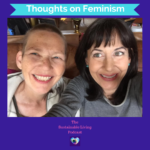 Please visit our Patreon page and pledge as little as $1 to help create that world we all want to live in.